LKQ Corporation (Nasdaq:LKQX) today announced that it has entered into an agreement to acquire AkzoNobel Coatings Inc.'s U.S. paint distribution business consisting of 40 locations. The acquisition will further LKQ's ability to supply the automotive collision industry with a full line of parts and paint solutions. The acquired locations will supplement LKQ's existing paint distribution business and provide the company with additional expertise to assist its customers with their paint needs. "We have long admired the body shop solutions offered by AkzoNobel, recognized as a color technology leader and the world's largest coatings company," said LKQ's co-CEO Robert L. Wagman. "This transaction reflects LKQ's commitment to being a one-stop-shop solution to the collision repair industry." "LKQ Corporation is one of the most recognized and respected names in the automotive industry," said AkzoNobel Americas General Manager AB Ghosh. "We are proud to have them as a part of our growing North American network of distribution partners." Mr. Wagman continued, "LKQ currently has relationships with thousands of collision repair shops throughout the United States. By adding AkzoNobel's portfolio of brands to our product offerings we believe this transaction, coupled with our experience and extensive distribution network, offers LKQ an opportunity for continued growth and market penetration in the paint distribution business." LKQ will distribute all of AkzoNobel's paint lines including the Sikkens, Lesonal and U-Tech brands. The transaction is expected to become effective May 27, 2011 subject to customary closing conditions. Financial details were not disclosed. LKQ Corporation is the largest nationwide provider of aftermarket and recycled collision replacement parts, refurbished collision replacement products such as wheels, bumper covers and lights, and a leading provider of mechanical replacement parts including remanufactured engines, all in connection with the repair of automobiles and other vehicles. LKQ operates more than 325 facilities, offering its customers a broad range of replacement systems, components and parts to repair automobiles and light, medium and heavy-duty trucks. LKQ's operations include locations in Canada, Mexico and Central America. Utter the words End of Life Vehicle (ELV), and many will immediately picture a scrap yard full of old cars leaking oil and water, been involved in a heavy impact, or are simply a gutted shell. But this is only part of the story. The End of Life Vehicle Directive – 2000/53/EC (to give it’s full title) is a Europe-wide directive that was to be enforced in all member states by 21 April 2002. However, some countries failed to implement the legislation by the deadline and many took advantage of flexibility within the directive so that the ‘last owner’ of the vehicle would be responsible for disposal of an ELV until the end of 2006. From 1st January 2007 this responsibility passed to the vehicle manufacturers bringing all member states in line. 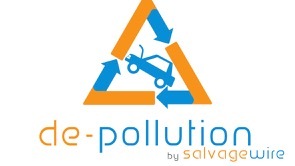 The directive includes various targets involving: environmental practices in the motor salvage industry, the prohibition of the use of various heavy metals in vehicles and the removal of various hazardous fluids and components in a safe manner. 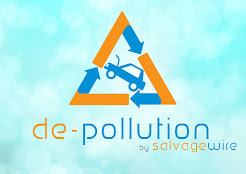 Additionally the directive seeks to promote and encourage the development of markets for recycled parts. The target causing most discussion is that 95% of a car (by weight) must be reused, recycled or recovered by 2015. These, and other regulations in the directive, close the loop, from design and build, through sale, service and use, to disposal and recycling. The vehicle manufacturer is now responsible for the whole life of the vehicle, not just design and sales. So what has changed in vehicle design and build? Plenty. The directive dictates that the use of Lead, Mercury, Cadmium and Hexavalent Chromium is now prohibited except in certain applications (i.e. batteries) according to a list that will be regularly reviewed. This ensures that these materials do not become shredder residues and are not incinerated or disposed of in landfills. The European Union recently reported that this section alone has reduced the use of hazardous substances in vehicle production by 90%. Manufacturers have also had to provide the industry with all requisite dismantling information with particular emphasis on hazardous materials and have to use component and material coding standards established by the European Commission to identify each individual part for recycling purposes. Looking closer at the first issue, vehicle weight is a major contributor to emissions, but it’s not all environmental, lighter cars have enhanced dynamics – handling, braking etc. The quest is on for designers to find components that meet all their requirements: are lighter and stronger, relatively inexpensive, environmentally attractive to produce and also recyclable in 2015. It’s a tough challenge. For example, polymeric glazing (plastic glass) will be in use by a volume manufacturer within the next five years. Yes, it will be lighter than glass, however the plastics recycling market is currently not as advanced as the market for glass, so this has the potential to negatively impact the drive towards the 95% target. Many manufacturers are already designing plastic components to be built using recycled materials and in many areas this is being achieved. Moreover, developments in shredder technology are starting to separate more of the various vehicle parts, resulting in less shredder residue going to landfill or incineration. Ultimately though the success of these developments rests upon the creation of a suitable marketplace willing to purchase the materials produced. Outsourced parts are also a concern, as the manufacturer is ultimately responsible for the recyclability of all the components in their vehicles. Therefore they must ensure that all parts are recyclable within the terms of the ELV directive, i.e. do not contain any banned materials, are coded correctly and are also fit for the purpose for which they were designed. The use of recycled material brings additional issues, including the availability and consistency of the material. It also requires the education of designers who may have little or no experience of working with recycled materials. Concern remains over a number of areas both within and outside the ELV directive. For example, work must be done to develop effective recycled marketplaces. This has already started in the form of ongoing research, supported by the European Commission and many member states to investigate and develop recycled marketplaces and recycling processes in order to reach the 95% target. The Commission also reported on the ELV process, specifically completing an impact assessment on the targets contained within the directive. It has concluded that there is no need to change these targets, despite fears that the current target of 95% by 2015 is unattainable. The report highlights that any reduction in the targets will end the development of technology to treat the waste and that confirmation of the 2015 target will assist in removing current blockages to innovation. The assessment goes on to support the ELV Directive because it has triggered technological development in ELV treatment and stresses that continued development of treatment technologies will bring substantial environmental benefits. As the worldwide vehicle market expands over the coming years environmental concerns are only going to increase, leading many areas of the world to follow the example set by the European Commission. The work already completed in Europe has made this region a world leader in motor vehicle environmental and recycling activities, creating business opportunities by setting high, but in my opinion, achievable standards.